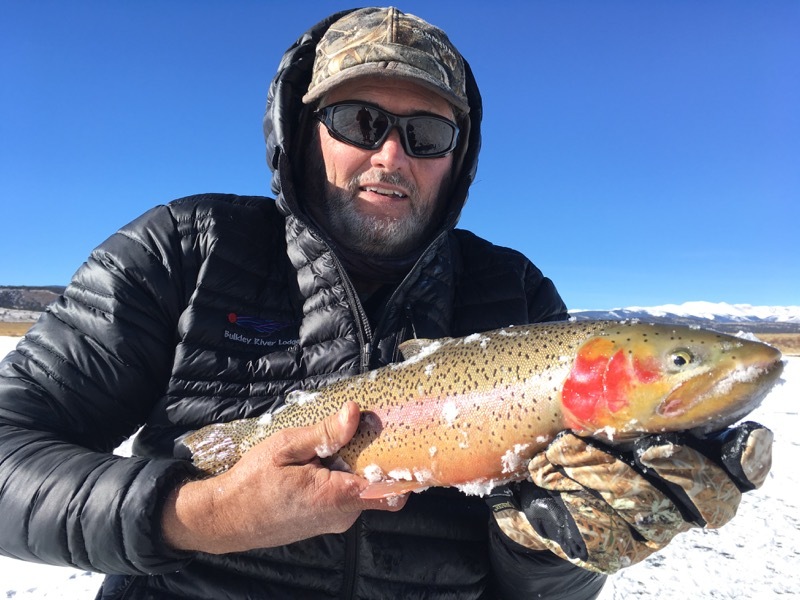 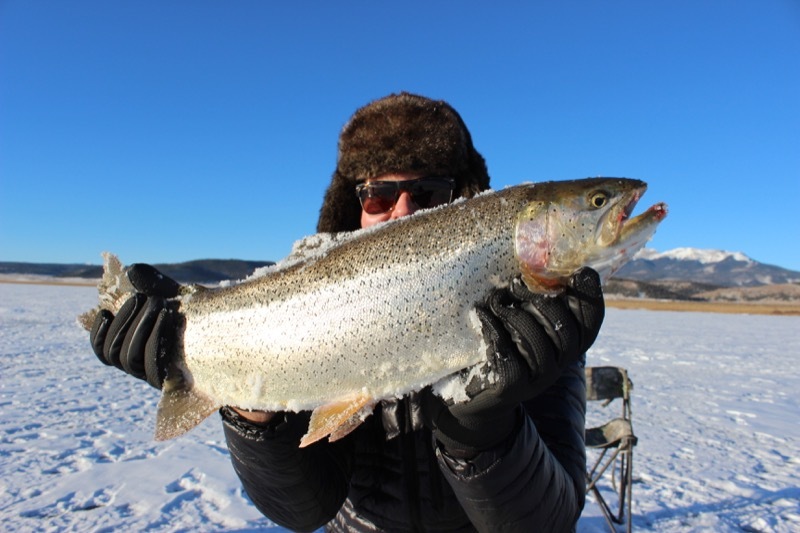 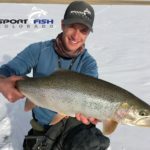 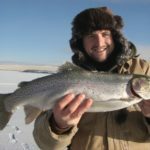 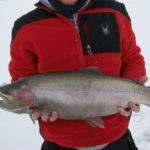 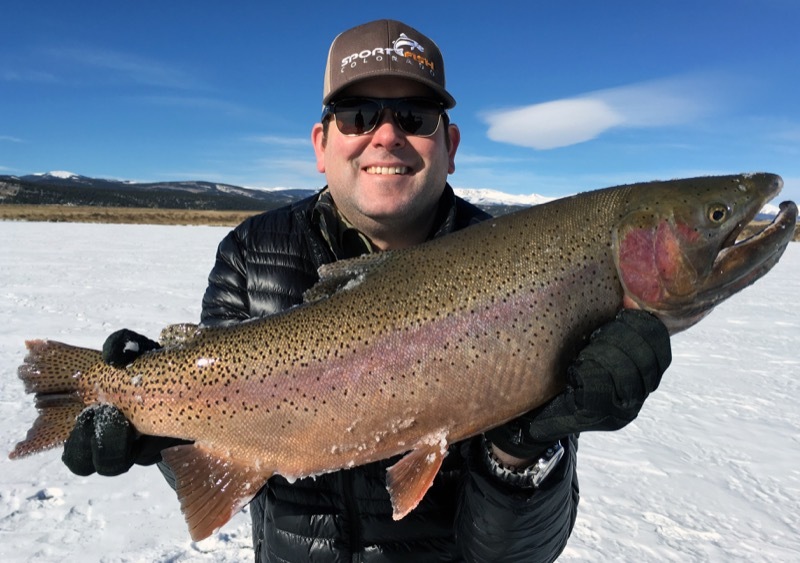 Antero Reservoir (CURRENTLY DRAINED & CLOSED) is home to rainbow trout, brown trout, snake river cutthroat, green back cutthroat, cutbows, kokanee salmon, brook trout, and splake! 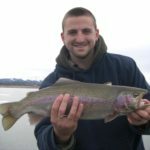 All of these fish grow to trophy size in little time due to the incredible fertility of this lake and the plethora of scuds (freshwater shrimp). 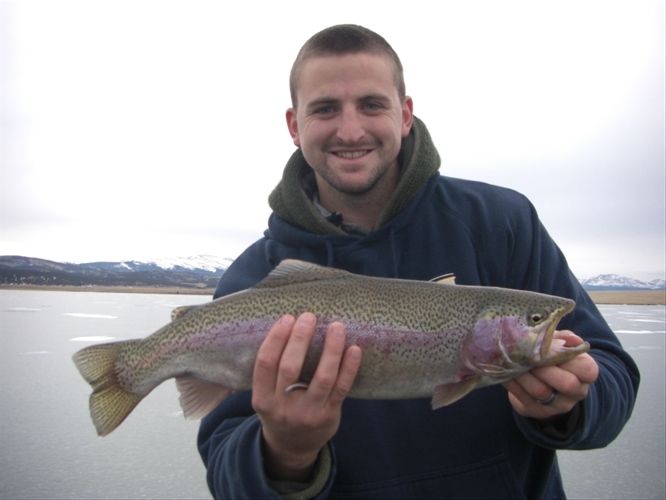 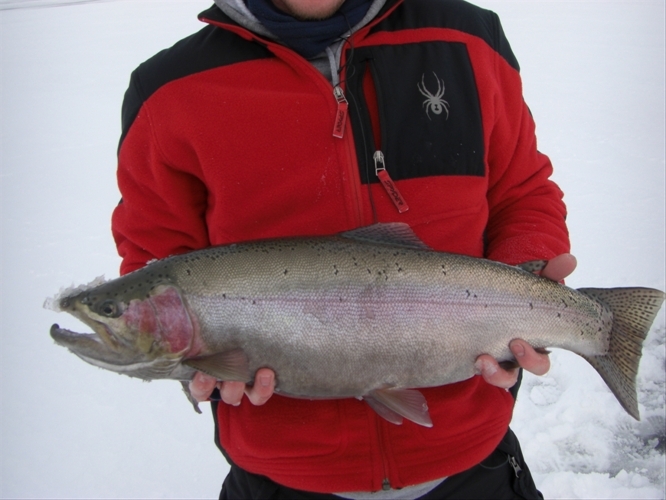 Trout in this lake usually average around 15″ long with healthy of population of 18″+ fish! 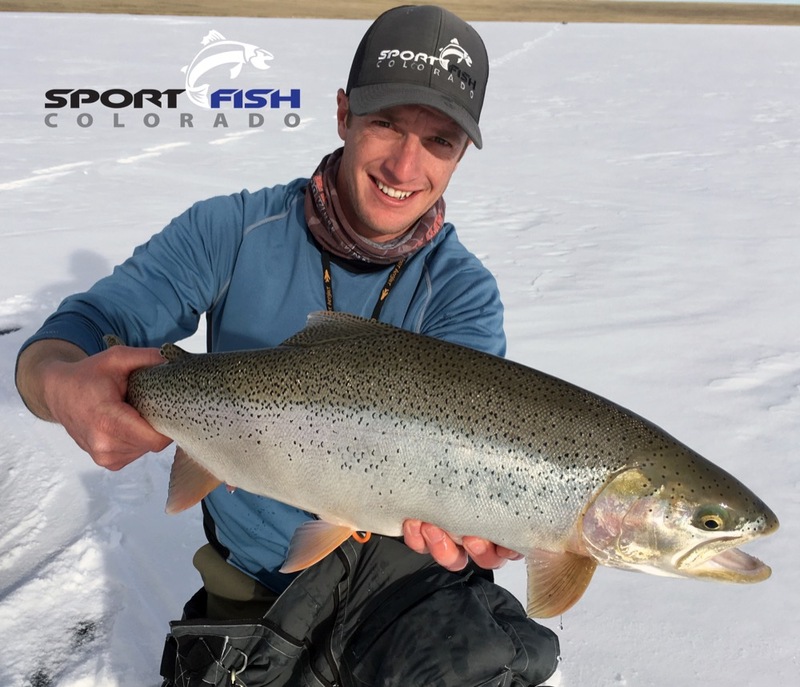 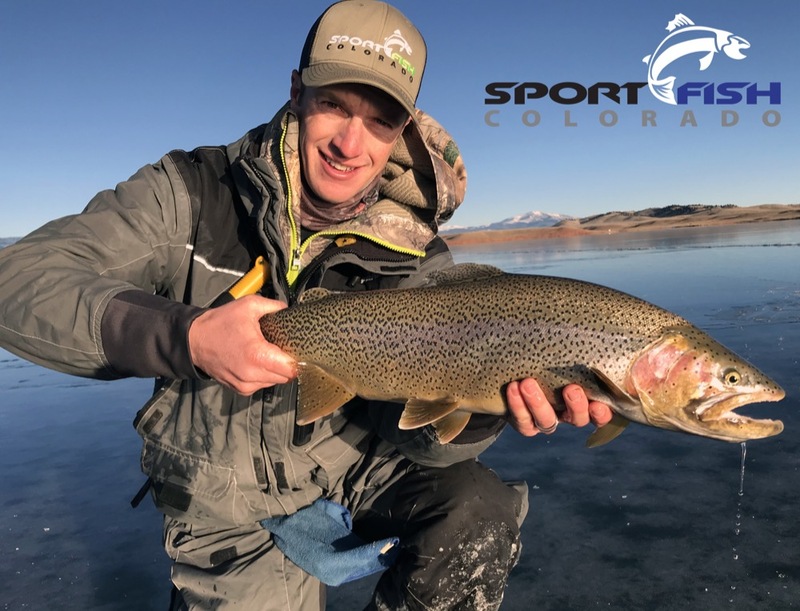 Since Antero is fairly shallow, weed growth can make trolling tough or at least interesting during mid summer, but trophy fish are always there for the taking if you modify your Antero fishing approach! 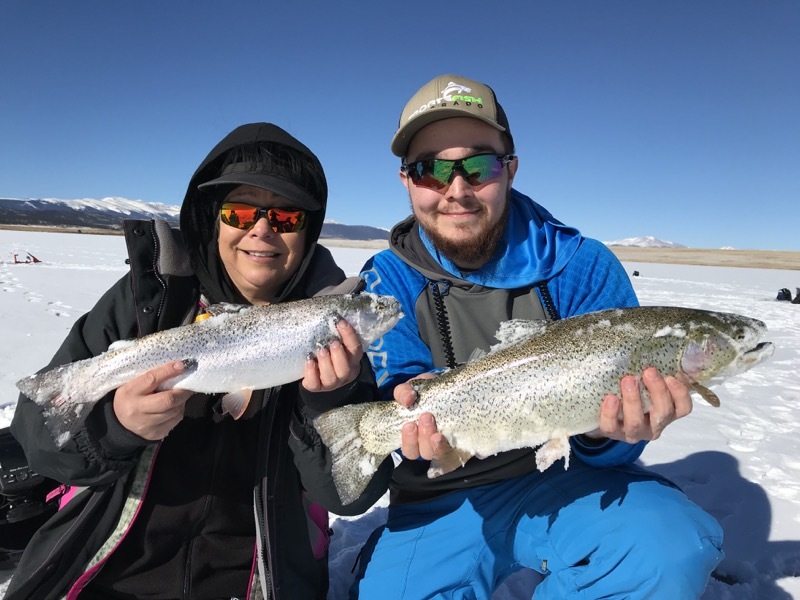 We spend a lot of time on this lake during the winter and use the weed beds to our advantage as the fish will use these beds as high traffic ambush points. 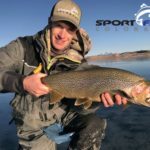 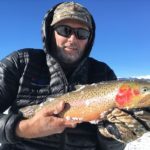 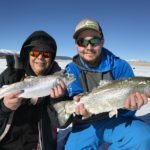 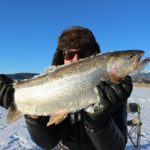 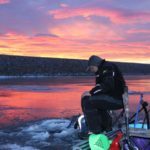 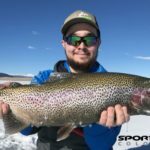 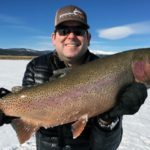 This lake is fairly shallow and has experienced a lot of ups and downs over the last decade, but grows trophy fish at an incredible rate none the less! 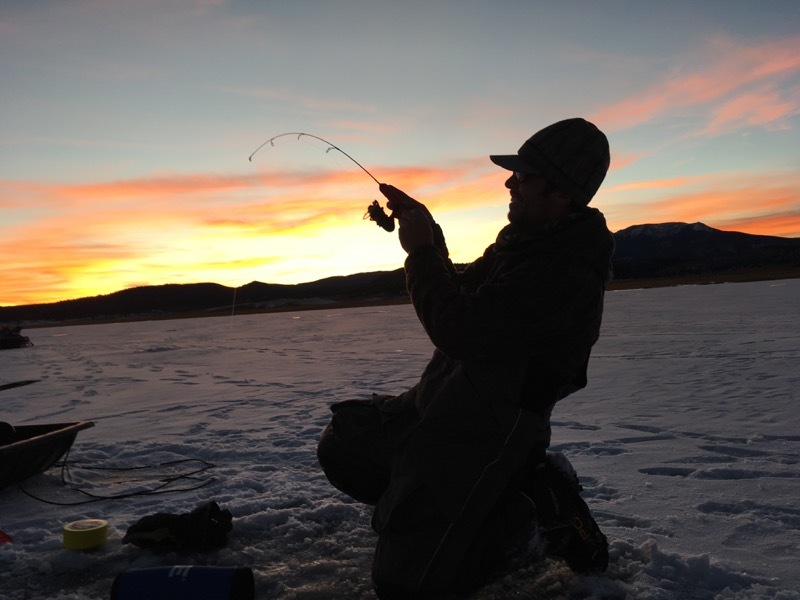 Although Antero is currently closed so that a leak in the dam can be fixed, it is supposed to open in 2017. 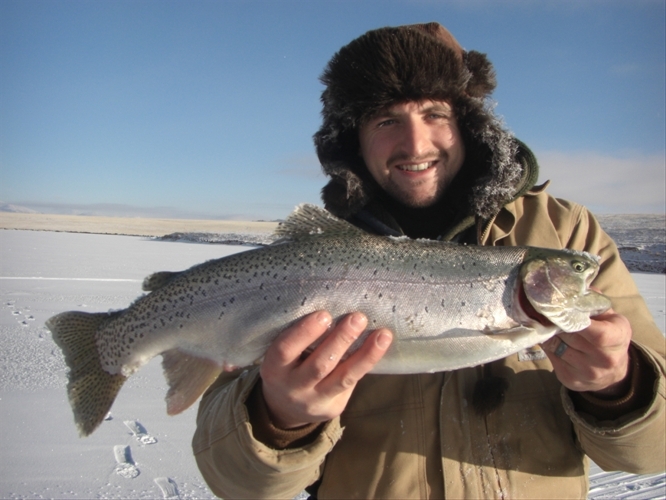 Traditionally, the limit is 2 fish per person on this body of water. 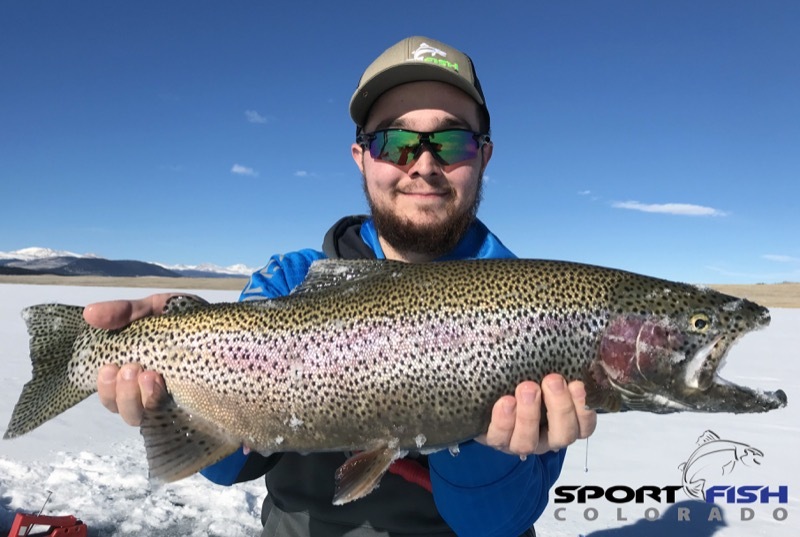 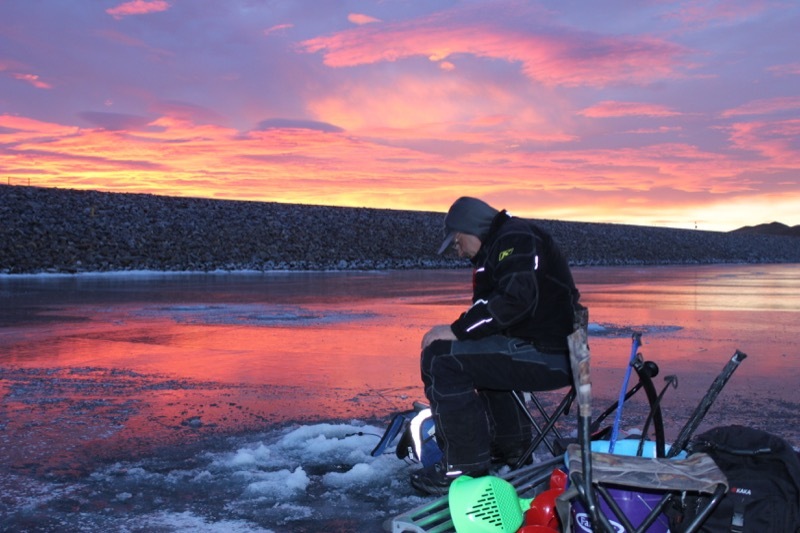 Antero reservoir is located about 2 hours and 9 minutes from Denver, 1 hour and 32 minutes from Colorado Springs, and only about 38 minutes west of Eleven Mile reservoir. 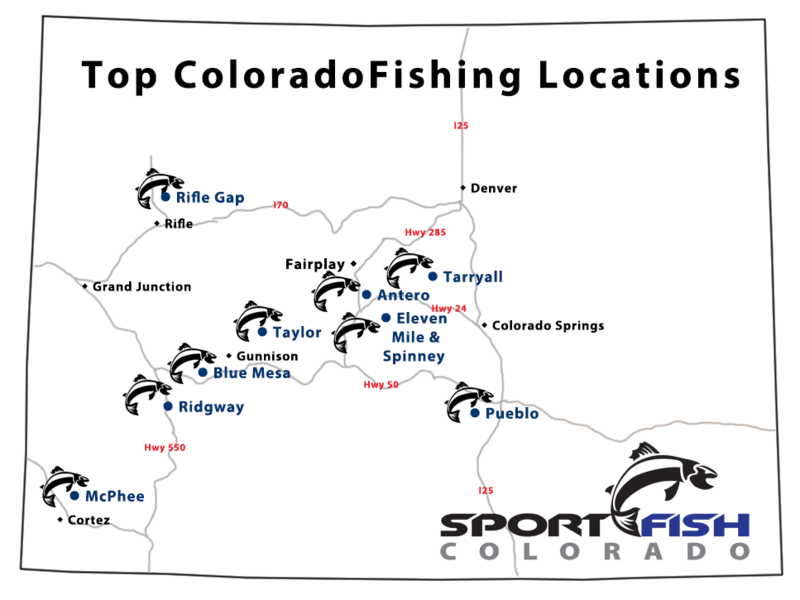 From out of state, it is best to fly into Denver or Colorado Springs and then drive to the reservoir. 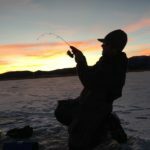 The closest lodging options are in Fairplay, Colorado.